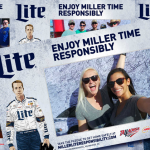 For the second year in a row, Atlanta Motor Speedway, NASCAR and TEAM Coalition partnered to promote responsible drinking and traffic safety at the Folds of Honor QuikTrip 500 on February 25, 2018. 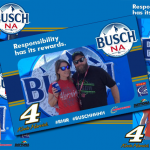 Before the rain came down and delayed the race nearly three hours, 37 fans made the pledge to be responsible. Fans over 21 pledged never to drive drunk and always to have a designated driver. Fans under 21 pledged to buckle up every trip, every time. 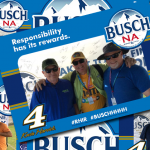 The fans had the opportunity to receive a free souvenir photo, instant prizes, and a chance to be selected as the Designated Driver for the Race. 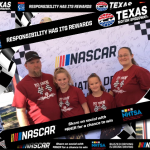 One randomly selected, responsible fan will win the “Responsibility Has Its Rewards sweepstakes.” The prize includes two tickets and a VIP experience for two at the 2019 Monster Energy NASCAR Cup Series™ race at Atlanta Motor Speedway. 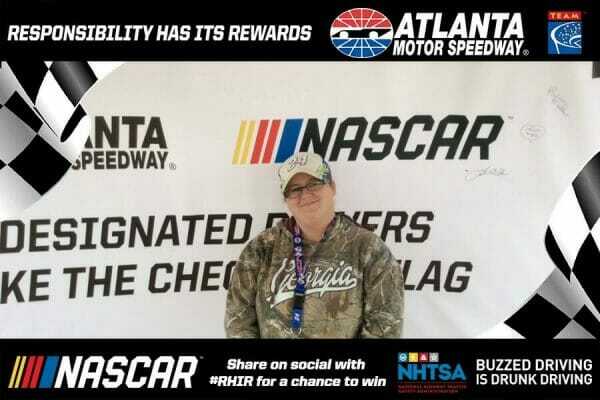 The Responsible Fan of the Race from the 2017 Monster Energy NASCAR Cup Series™ race at Atlanta Motor Speedway was Janice Fore. 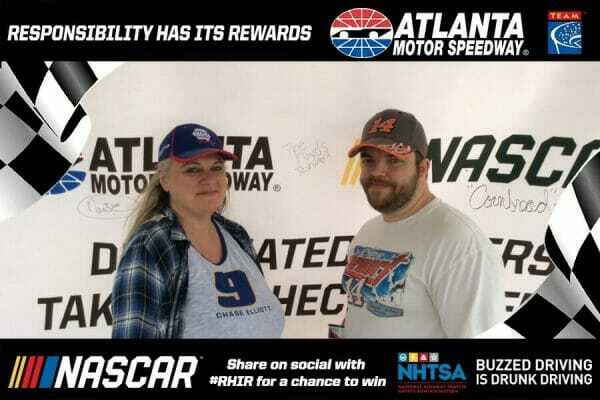 She and her guest received two tickets and two hot passes to the Folds of Honor QuikTrip 500. Located on 887 acres in Hampton, Georgia, just 25 miles south of Atlanta, Atlanta Motor Speedway is one of the country’s top sports, corporate, family and entertainment facilities. Since holding its first race in 1960, Atlanta Motor Speedway has become a premiere facility for several forms of racing, in addition to a wide range of other events including concerts, festivals, business conventions and even the Georgia State Fair. 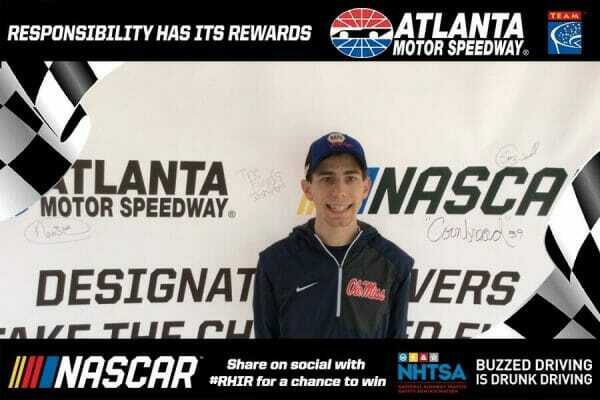 Atlanta Motor Speedway is one of several facilities across the country owned and operated by Speedway Motorsports, Inc., a leading marketer and promoter of motorsports entertainment in the United States. Each year, Atlanta Motor Speedway hosts its annual NASCAR Weekend, featuring races in all three of NASCAR’s national touring series.